a shine machine: Sponsor Feature and Giveaway from Kamika! My name is Kami and I am a happily married kraftinista chica! My hubby and I have been together for 12 years and married for 2. We live a simple love filled live full of kitties, organic veggie gardening, yummy food, blogging and lots of books. I live in North Vancouver, British Columbia, Canada. We are near the mountains and forests and get all sorts of creatures visiting us like black bears and sometimes even deer! 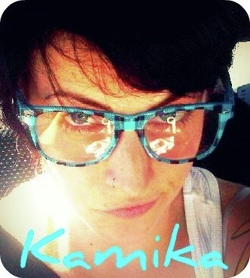 My wee little shop is called Kamika Kraftz and it started out of a krafting habbit turned obsession. I was in a very depressed phase of my live and I started art jounraling to deal with my emotions. And then sewing. And then jewlery. And then felt minatures. And so on and so on and so on. One day I found I have a house full of happy items and I wasn't sad any more. My shop grew out of the realization that things that make us smile are SO GOOD FOR US! I hope to make lots of people msile, young and old. 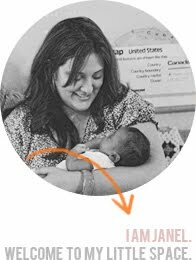 One random fact.....well I recently found out I am pregnant! My hubby and I are expecting our little "bug" to join us in June and we are very happy! 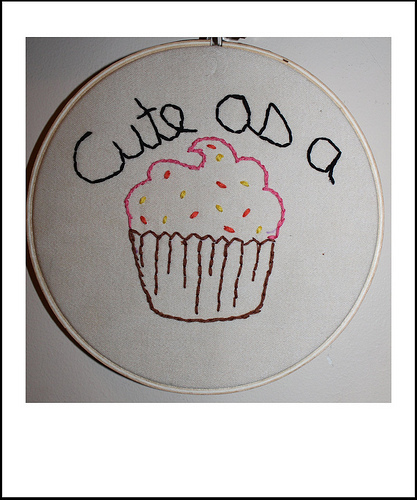 Kamika is offering one of her cute Cupcake embroideries to one lucky Run With Scissors reader!! All you have to do is visit her shop, leave a comment here about something you liked!!! Check this post on Saturday to find out the winner!!!! I love the Nu-Shu Embriodery!! It would go perfectly with my Buddha statues!! The Cute As A Cupcake is SO cute! And all those plushies are adorable as well! I <3 the bam bambi in yellow, the button rings, and all the embroidery, but my favorite is the on that says "cute as a cupcake"
I love the Nu'Shu embroidery...and I love the cute as a cupcake embroidery too as I am a cupcake fanatic!!! I looove your bambis! Espically the brown one! you'll make amazing little plushies for your "bug"